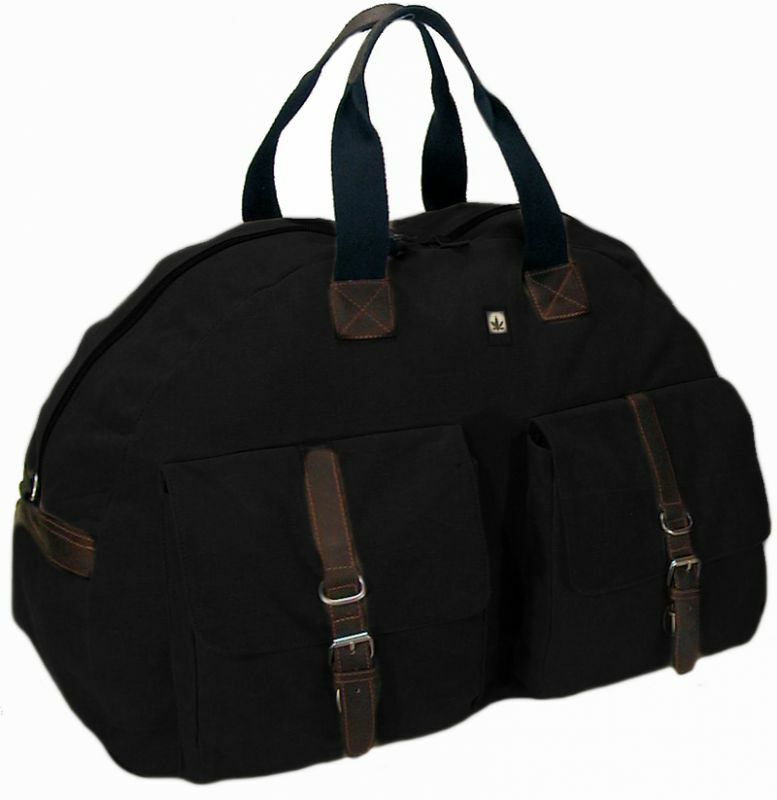 Large travel bag with double zip closure. On the front side there are two pockets with buckles and magnetic clip closure. N.B. Please attend that the colors can vary depending on your screen calibration. Materials: 55% hemp / 45% organic cotton, leather inserts. Care instructions: Hand wash in lukewarm water, do not wring, only use gentle washing agents, hang up to dry. Bottega della Canapa ® is an official distributor (exclusive for Italy) of hemp bags and accessories PURE ® . The Original since 1994.